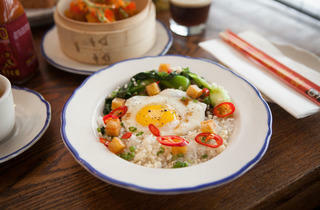 Photograph: Martha WilliamsBrunch with the Macanese minchi at Fat Rice. 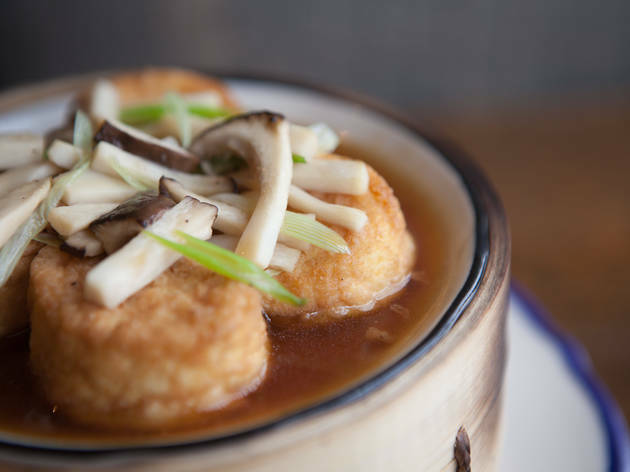 Photograph: Martha WilliamsSteamed 10kt dumpling at Fat Rice. 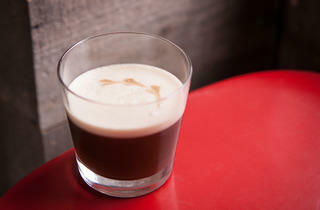 Photograph: Martha WilliamsBreakfast of champions cocktail at Fat Rice. 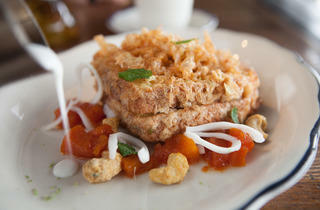 Photograph: Martha WilliamsVegetable lacassa at Fat Rice. 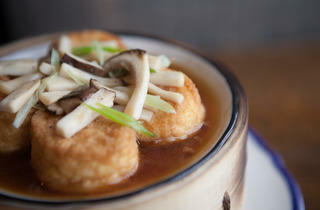 Photograph: Martha WilliamsFried egg tofu at Fat Rice. 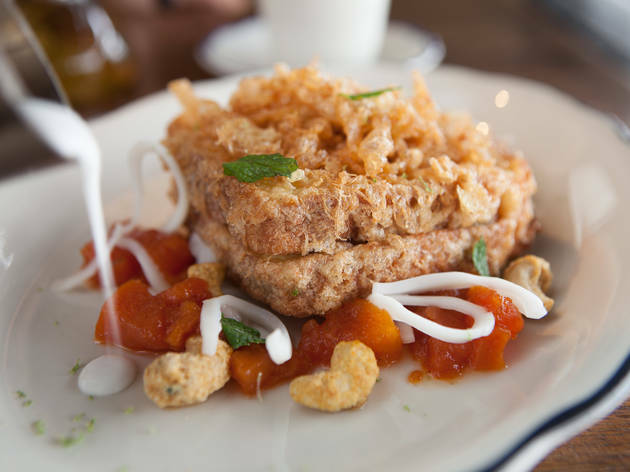 Photograph: Martha WilliamsHong kong french toast at Fat Rice. 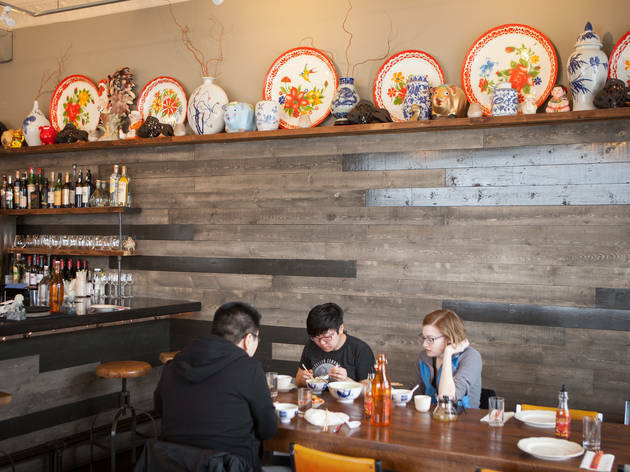 Photograph: Martha WilliamsGordalada at Fat Rice. 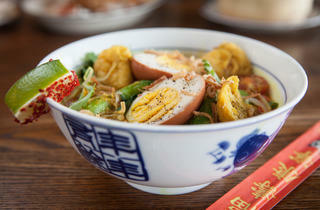 Photograph: Martha WilliamsPortuguese egg tart at Fat Rice. 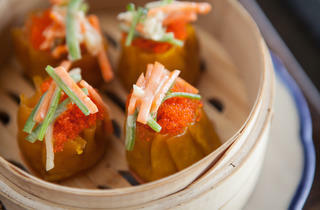 Photograph: Martha WilliamsMacanese minchi at Fat Rice. 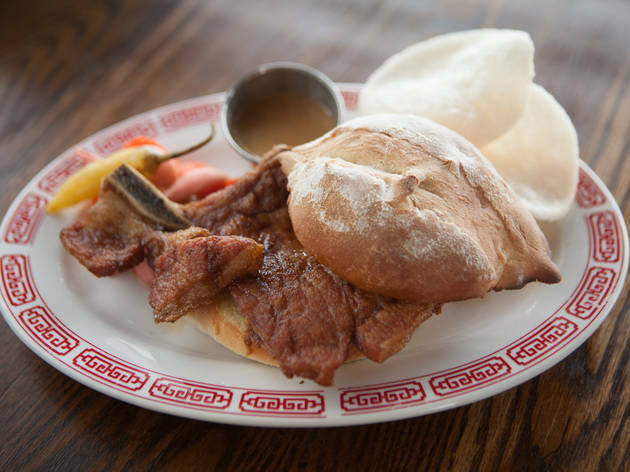 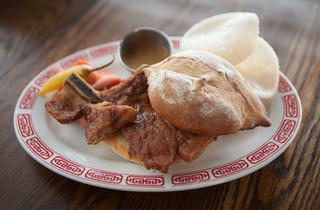 Photograph: Martha WilliamsBone-in pork chop sandwich at Fat Rice. 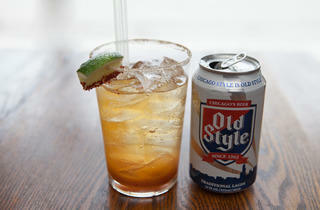 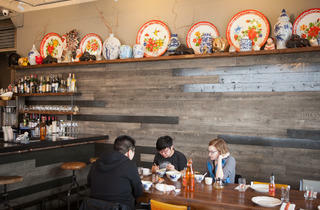 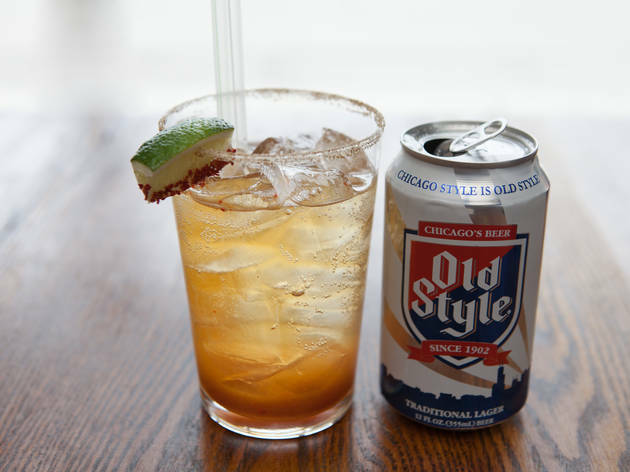 When Fat Rice (2957 W Diversey Ave) does anything new, we sit up and pay attention. 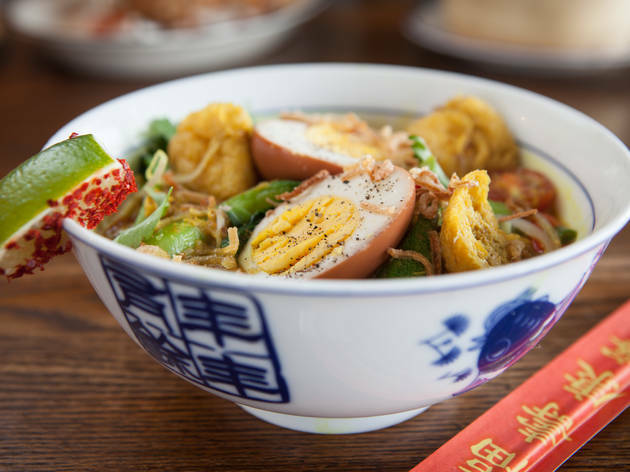 Three weeks ago, the Macanese restaurant launched Cha Gordo, which translates to "fat tea," or, for our purposes, a new brunch served Friday–Sunday. 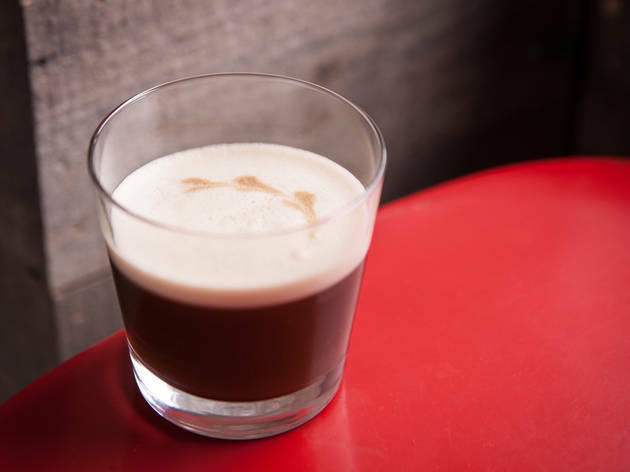 The menu is a mix of larger and smaller dishes, and there's also a brunch-specific cocktail list, with drinks like the tiki-esque Fat Rum Punch, with plum shrub and Thai basil, and the Breakfast of Champions, a smooth, dry cocktail made with coffee and brandy. 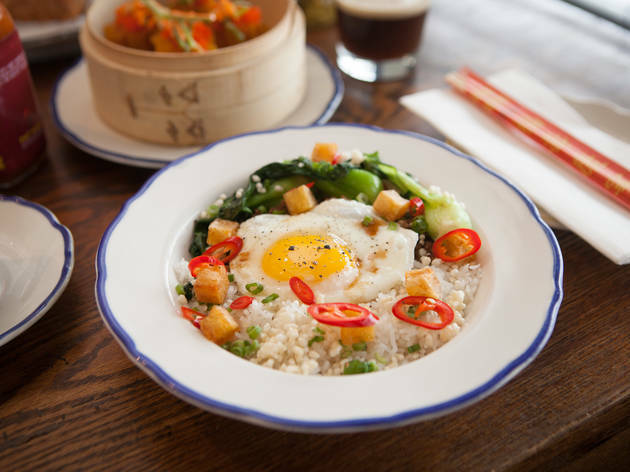 If you go, as we did, on a Friday afternoon, you may find yourself with the run of the place, a stark contrast to the usual long waits and frenetic pace with which dinner is served. 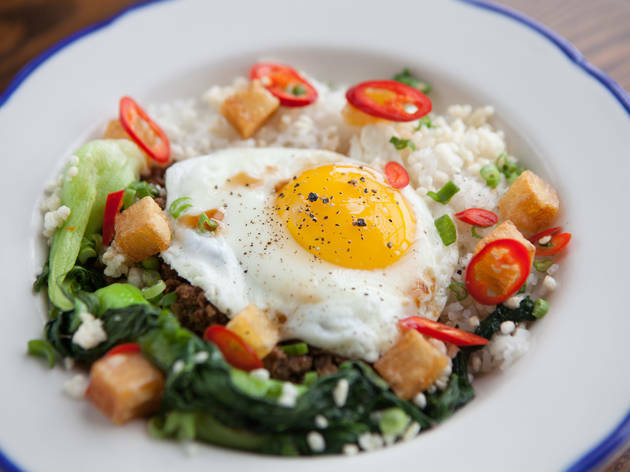 It means you can leisurely tuck into dishes like toast gilded with a layer of guava paste and melted cheese; dumplings stuffed with spicy curried shrimp, jicama and a tobiko garnish; Macanese minchi, coconut rice topped with a hash-like mix of minced pork and beef, potatoes and a fried egg; and two lacassas (stews), including a warming bowl of tamarind broth filled with shrimp, noodles, bok choy, chiles and fish balls. 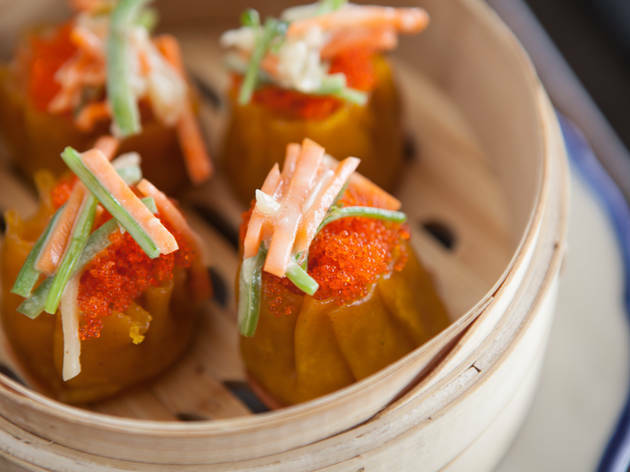 The burger-stuffed shumai, topped with onions and "fancy sauce," were the kind of thing I'd destroy after a night on the town, but were a heavy and greasy interlude during brunch. 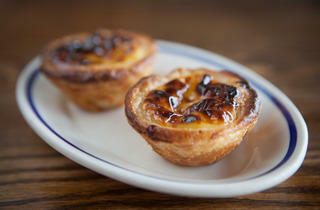 Both our server and someone from the kitchen asked us whether we would prefer to have our egg tarts as a starter or dessert. 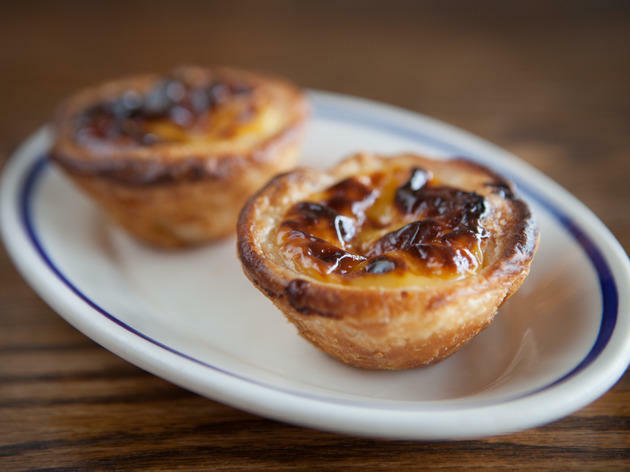 We said starter, but the correct answer is "both," since the creamy and lightly sweet custardy tarts are the standout item on the brunch menu. 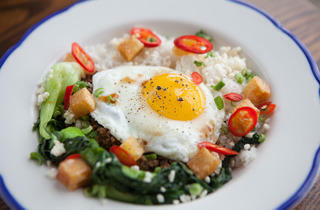 Cha Gordo is available Fridays and Saturdays from 11am–2pm and Sundays from 11am–3pm.